Amanda Jackson Band: Thank you! 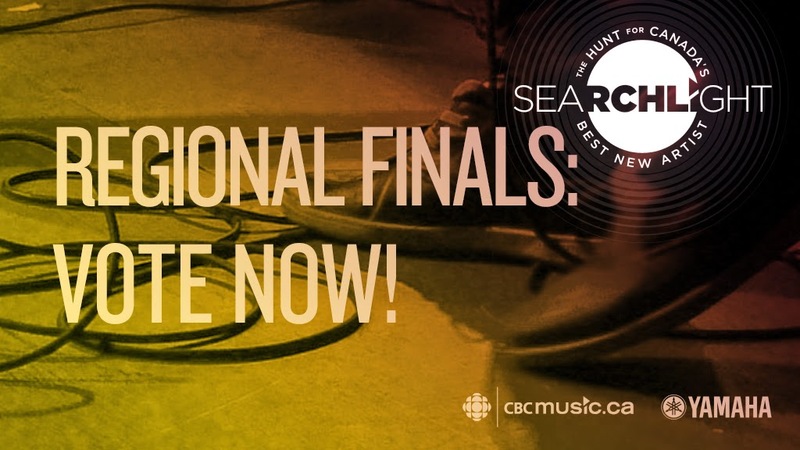 Regional Finals for CBC Searchlight! Thank you! Regional Finals for CBC Searchlight! From the 3,333 bands that entered Searchlight, 225 talented acts (only 7%!) have moved on to the regional finals. Thanks to you, we have made it to the top 10 for PEI! This round decides the regional finalist who will then move on to represent at the national level. Things really pick up speed from here and it is so very exciting! Please let us represent PEI in this great contest! Voting continues until 4 p.m. AT on Monday, April 27th. If you haven't yet done so, you can join our event to receive a daily reminder! We've also been in communication with several great artists in other regions and we're all working together to help spread the word about the incredible talent that is taking part in this competition. We compiled a little playlist to help you all discover some great new music! Check it out!